Marnie Ririe, MD has been practicing medicine for over 18 years. 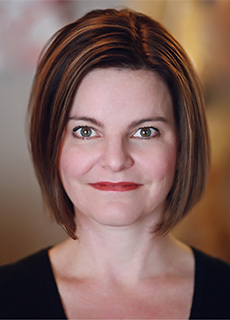 Marnie Ririe, MD was awarded her doctorate of medicine degree at the University of Utah in 1999. She completed a transitional year internship at the Mercy Hospital of Pittsburgh in Pittsburgh, PA, followed by a residency in Internal Medicine at Legacy Health System in Portland, Oregon. She then completed a fellowship in general internal medicine education and research at Legacy and Oregon Health & Sciences University. She spent over five years caring for patients, both in the hospital and as outpatients, with St. Luke's Internal Medicine at the St. Luke's downtown and Meridian locations. She was thrilled to have the opportunity to pursue her love of dermatology by completing a residency in Dermatology at the University of Utah in Salt Lake City, Utah. Marnie Ririe, MD loves to travel and spent time during residency at a pediatric hospital-based dermatology clinic in Madrid, Spain and at the Hospital Clinic and Melanoma Unit in Barcelona, Spain. She specializes in dermatology from pediatrics to geriatrics and loves taking care of patients of all ages. 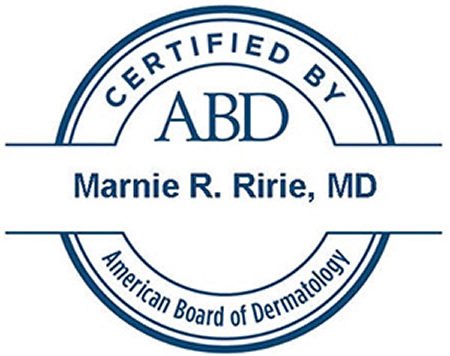 Dr. Marine Ririe is double board-certified in Both Dermatology and Internal Medicine. Click here for Marnie Ririe, MD’s complete CV including Original Publications and Oral Presentations. Personal: Marnie Ririe, MD enjoys spending time with her husband and three children, improving her Spanish, and enjoying the beautiful Idaho outdoors.